Before you release a version of your product that has Freemius integrated into it into production – you probably want to test things out, and make sure everything works properly, so there are no surprises later on. * Set your plugin / theme Freemius secret key for super powers! *   1. Replace `my-slug` with your product's lowercase slug. *   2. Replace `sk_mySecretKey` with your product's secret key. You should add the defines before the WordPress Engine starts, i.e. before /* That is all, stop editing! Happy blogging. */. If you click you’ll be able to see all the Freemius data associated with your local environment. For apparent reasons – the opt-in screen appears only once (upon activation). After opting-in (or skipping) the screen will not show again. 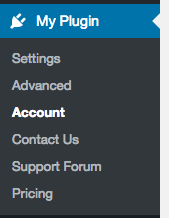 Or if your Account menu item isn’t available, go to /wp-admin/admin.php?page=my-slug-account. 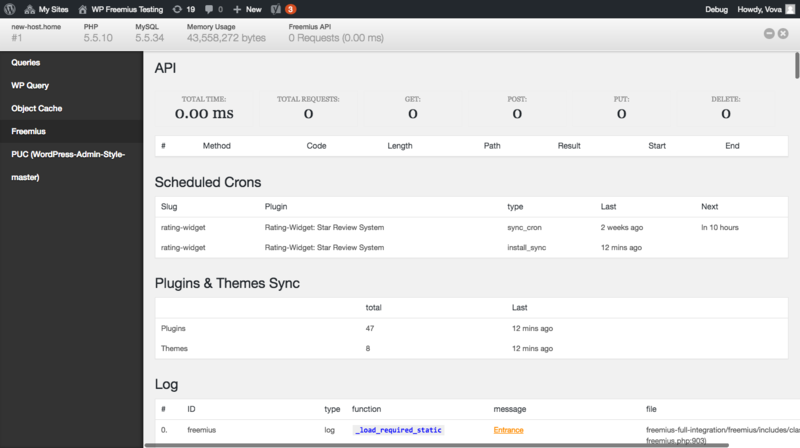 To make it appear after skipping, clear Freemius data by opening Freemius Debug in the admin dashboard, and delete the accounts (for more info on Freemius debug please see our debugging guide). Due to security and data integrity reasons, if an already opted-in user attempts to opt-in to Freemius again, you will first receive an activation email so you may complete the process. This helps prevent users from hijacking other user accounts. You can login with the above credentials into a PayPal Sandbox to see the account activity.